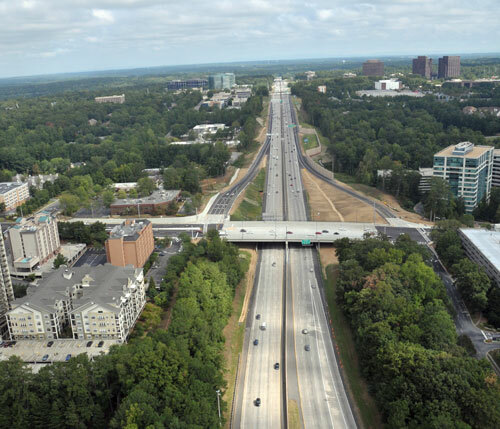 The Perimeter Community Improvement Districts (PCIDs), representing both the Central (DeKalb) and Fulton Perimeter CIDs, are self-taxing districts that use additional property taxes to help accelerate needed transportation and infrastructure improvement projects. Through the PCIDs organization, commercial property owners voluntarily pay additional property taxes for transportation and infrastructure improvements. 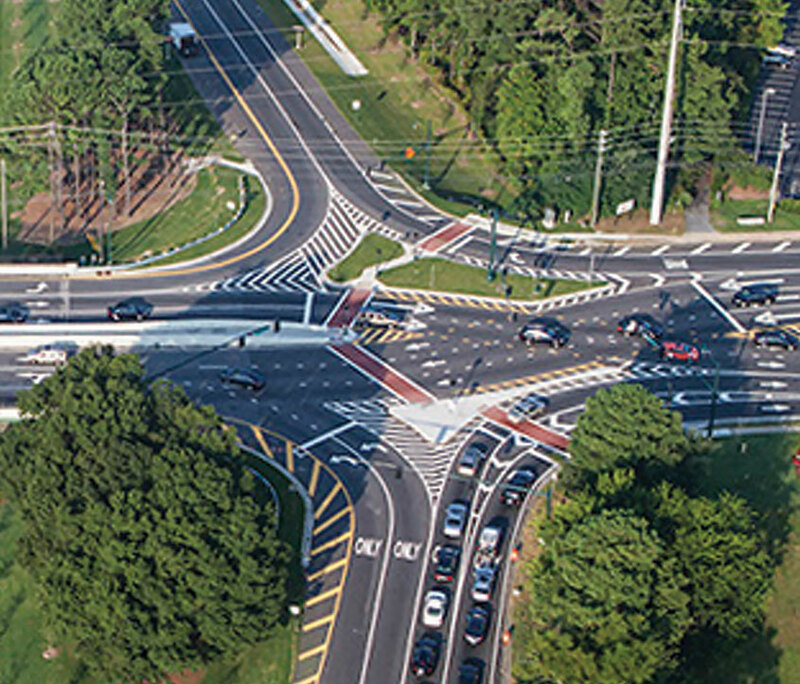 The Diverging Diamond Interchange (DDI) design shifts the flow of traffic to the opposite side of the road, reduces points of traffic conflict, and improves traffic flow and safety. Read more. 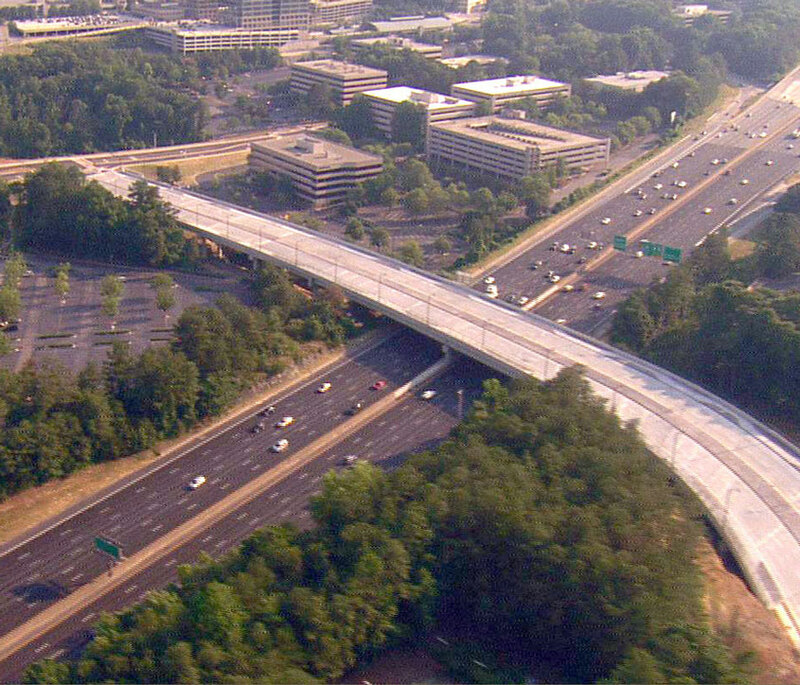 This 1,100-foot multi-modal bridge has innovative design features such as 4-foot wide bicycle lanes and 6-foot wide pedestrian lanes. 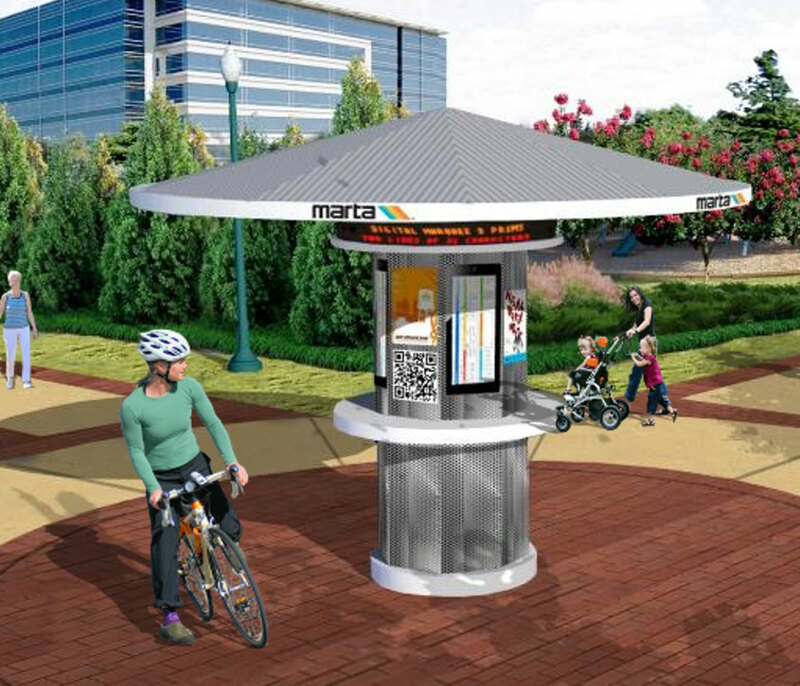 HOV access to MARTA is on the horizon. Read more. 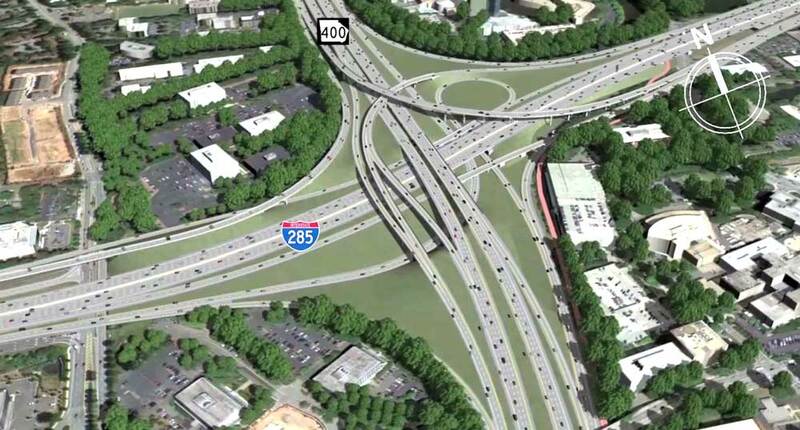 The half-diamond interchange—named for how it looks from above as it connects the two roads—provides an exit off of Ga. 400 and reduces traffic congestion. Read more. 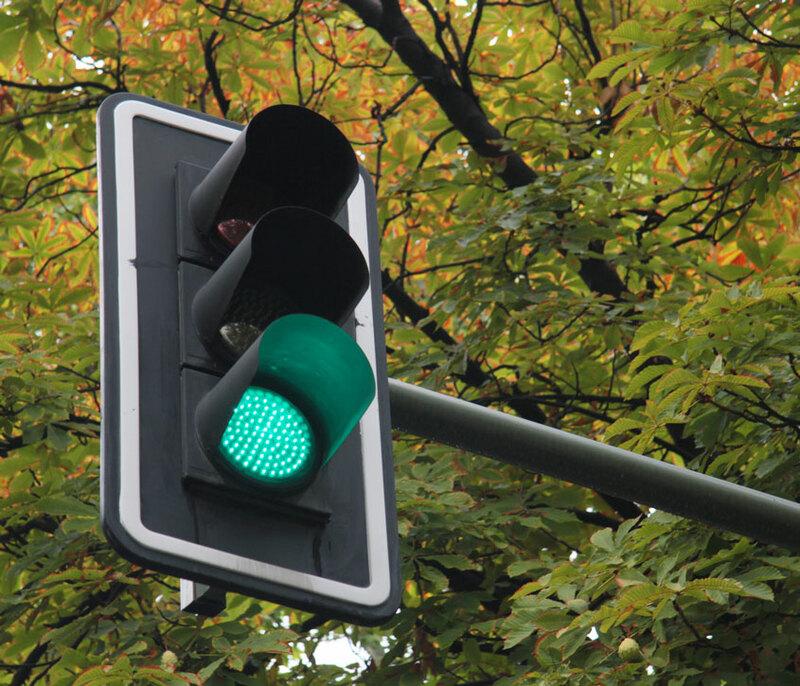 The Georgia Department of Transportation (GDOT) created an operations program focused on actively managing traffic signals along corridors of regional significance. Read more. 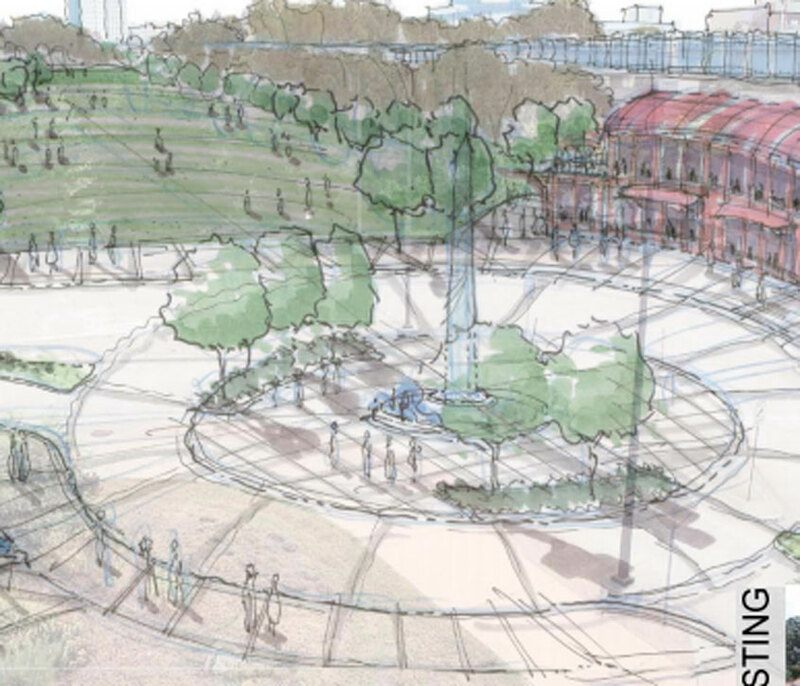 Squeezed between Perimeter Center Parkway and Perimeter Mall, the proposed park roughly equals the size of other urban parks and would be slightly larger than Woodruff Park in downtown Atlanta. Read more. 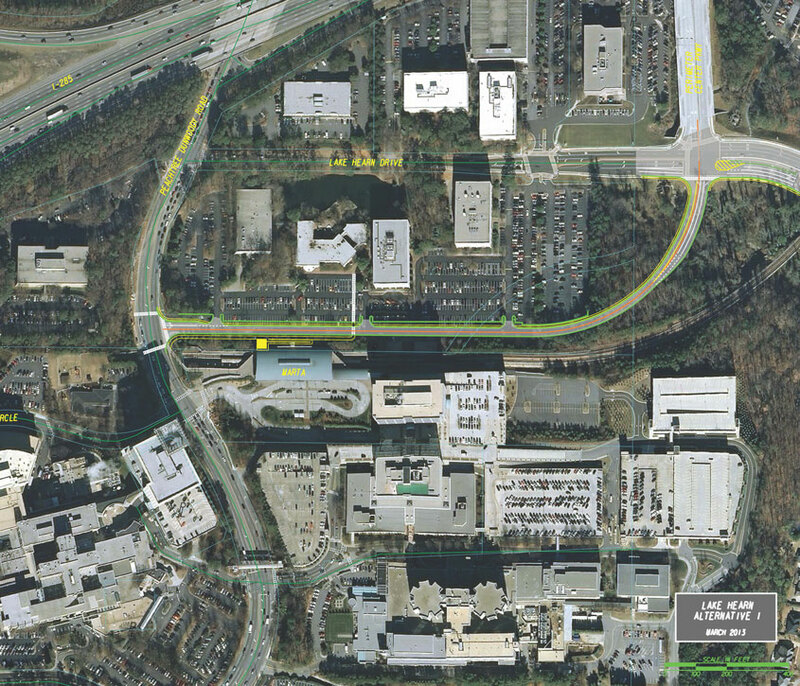 In 2012 PCIDs was awarded $1M from the GTIB/SRTA in grant funding to advance a concept plan for the Lake Hearn @ Peachtree Dunwoody Road Intersection in partnership with City of Sandy Springs. Read more. 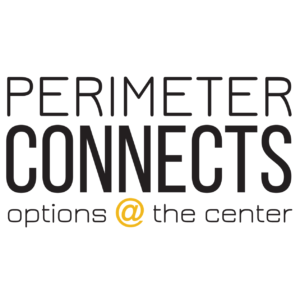 The Bicycle Implementation Strategy identifies steps to be taken by Perimeter CIDs, its members, local municipalities, and other private and public partners to continue the transformation of Perimeter into an urban center. Read more. 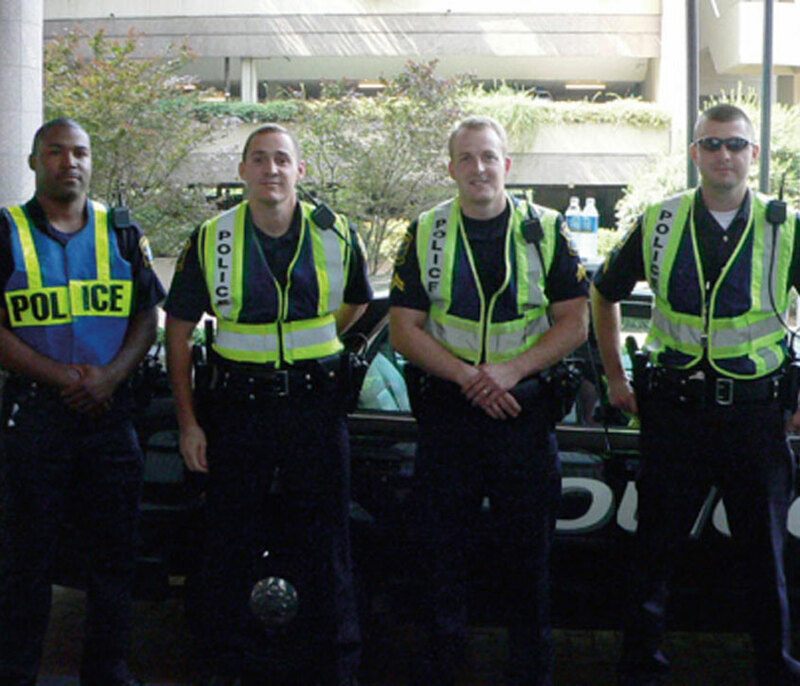 Off-duty DeKalb County, Dunwoody, Sandy Springs and Fulton County officers direct traffic at up to thirteen (8 – Sandy Springs and 5 – Dunwoody) intersections in the Perimeter Business District during high-peak traffic times to help motorists travel safely and with ease. Read more. 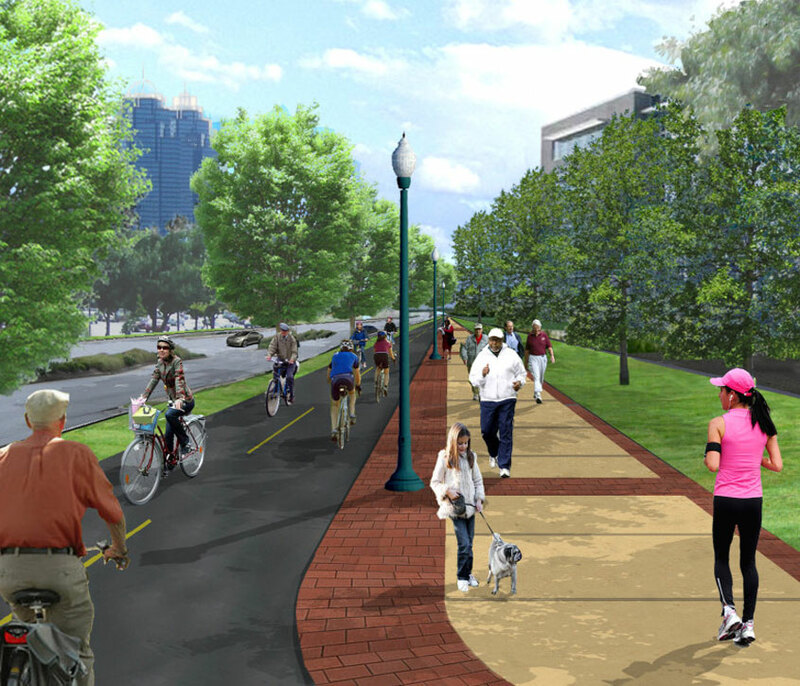 PCIDs has been awarded funding is to design commuter trails between corporate campuses in the Perimeter community. Read more.